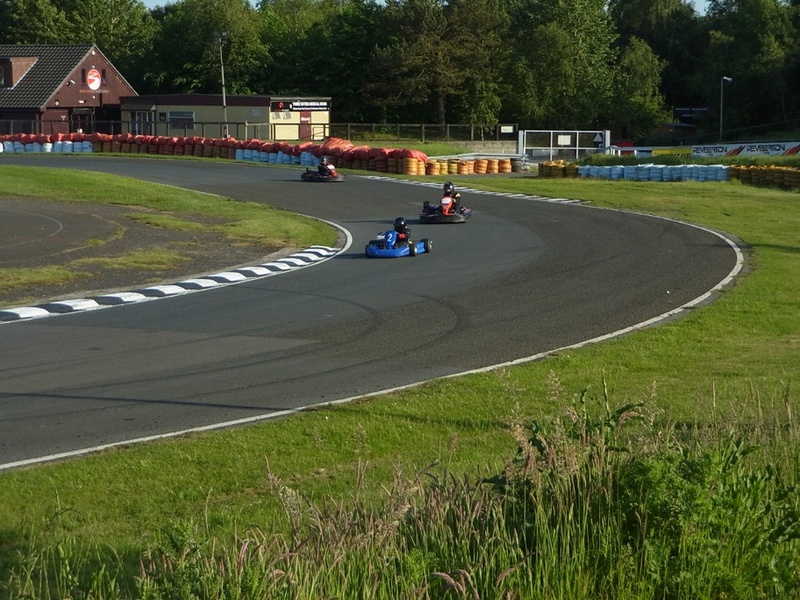 Samuel had another Karting Blast session on Bank Holiday Monday at the Three Sisters Race Track and this time he went on track with 4 Junior drivers and 2 other Cadets. 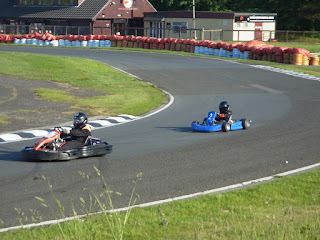 Last time he went his best time was 59.204 seconds which was around 2 seconds faster than his first visit. 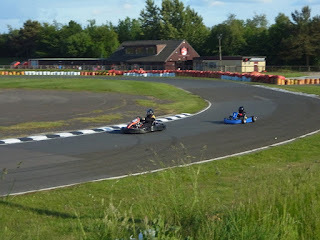 And this time he managed a 56.628 which, we were told, was one of the fastest times they had seen from that particular kart. 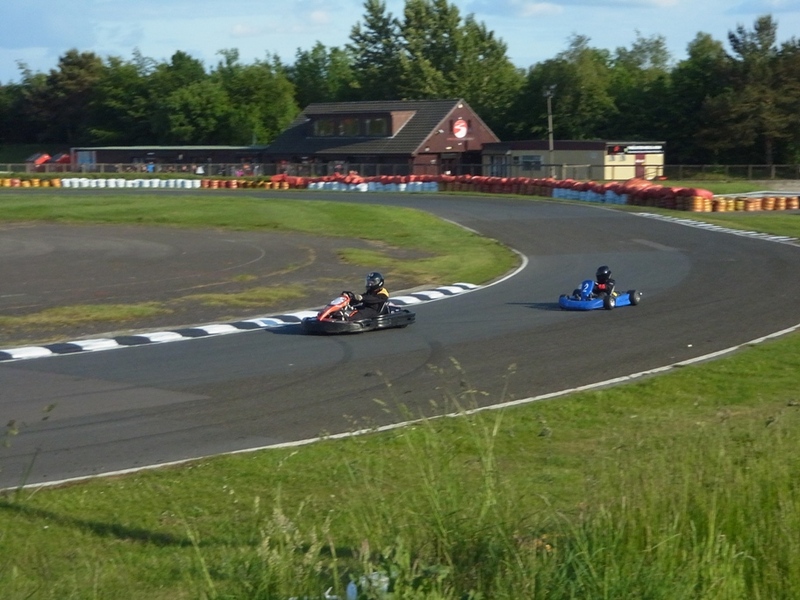 He finished third fastest overall behind two Junior drivers, but beating the other two Cadets and the remaining two Juniors, which considering the Junior karts can go around 20mph faster than the Cadet karts, its not too bad! 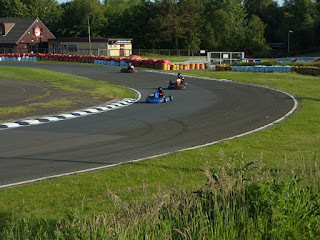 On the photo below, I'd seen that Samuel was coming up to go past the two Junior drivers and by the time I'd panned the camera round, he'd gone past them on the bend! The lap record for Cadet drivers is 51.2 seconds and that is in a race ready specific racing kart, tuned to the individual drivers requirements - not an arrive and drive kart. Samuel has another session booked for a few weeks' time!